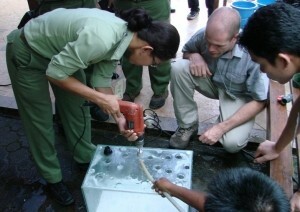 AArk staff and many of our enlisted consultants from the conservation community also work to help personnel in range countries to develop, initiate, and maintain amphibian conservation programs through either online or on-site consultations. 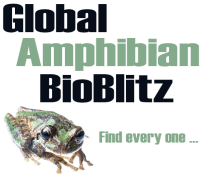 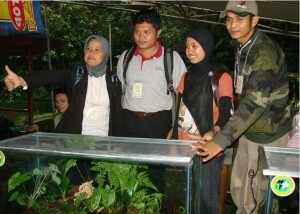 Since 2004, AArk staff and our partners (notably the Association of Zoos and Aquariums and Durrell Wildlife Conservation Trust) have already trained over 1,300 students in amphibian biology, husbandry, and conservation practices through forty-two courses in twenty-six countries. 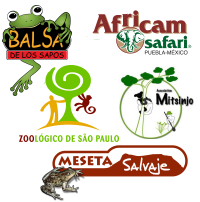 You can find PowerPoint presentations from these workshops on our Presentations page, and other husbandry-related documents on our Husbandry Documents page.